Our Barristers provide excellent advice and advocacy in all matters. Michelle specialises in all aspects of family law including complex property and parenting matters, child protection law, and public and administrative law. Michelle regularly appears in the Federal Circuit Court, the Family Court and the New South Wales Administrative Appeals Court. Since coming to the bar Michelle has regularly appeared in cases that involve an element of international law including Hague convention matters, conflict of laws cases and matters involving the enforcement of overseas orders for spousal and/or child maintenance. Prior to coming to the bar, Michelle practised almost exclusively in family law and child protection law as a Solicitor. She became an Accredited Specialist in Family Law with the NSW Law Society in 2005. 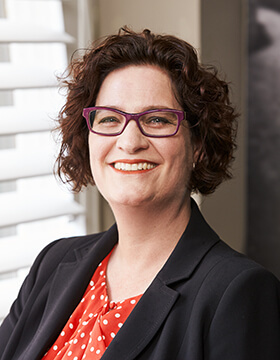 Michelle has been the author of the Northern Territory Family Law component for Lexis Nexis since 2011.